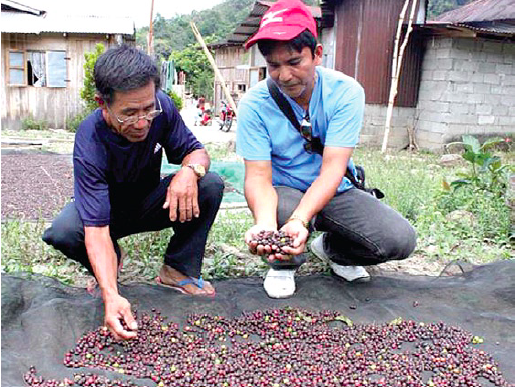 SIGAY, Ilocos Sur—Coffee traders in the Ilocos region who are looking for aromatic coffee beans just like those produced in Batangas and Cavite need not go far as they can find these beans on the farm of Simeon Acbayan, 61, in Brgy. San Elias, Sigay, Ilocos Sur. Acbayan’s farmhouse is always filled with sacks of dried coffee beans ready for the market. These world-class coffee beans are of the Robusta variety, whose plants abundantly dot the two-hectare slopes of a hill he owns. Because of Acbayan’s success in producing quality, aromatic coffee beans, Sigay is now becoming a well-known trading/entrepot center for small and big time coffee traders in Luzon. In fact, the local government of Sigay named this morning beverage its one-town-one-product (OTOP) item in 2009 and recommended Acbayan to be the farmer-scientist for coffee in the town’s Farmer’s Information and Technology Services (FITS) center to the Ilocos Agriculture, Aquatic and Natural Resources Research and Development Consortium (ILAARRDEC). Concurrently the chairman of Brgy. San Elias, Acbayan is now being tapped by Marites Bagawe, Cheryl Bitibit, and Valentina Zita of the Municipal Agriculture Office (MAO) as a lecturer in seminars for coffee farmers. Acbayan’s two-hectare coffee plantation gives him such a substantial yield throughout the year that he and his son can no longer manage to harvest the berries. In most cases, they just leave the ripe berries on their branches for birds and foxes to eat, or to drop to the ground so that they can germinate later. This is the reason why he cannot control the population density of his plantation. Acbayan said that with his vast area planted to Robusta coffee, he can only manage to harvest the berries of the half hectare portion, which gives him a little over 25 sacks of fresh coffee beans a year. A sack contains 25 gantas (a ganta being a little under three quarts for dry measurements) of dried coffee beans. And with the current price of Php70 per ganta, Acbayan derives a substantial income of Php43,750 in one harvesting season alone, given that this is just from the sale of his harvest from a half hectare area. 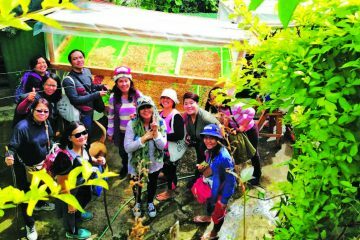 He laments that if he could only manage to harvest all the berries of the remaining 1.5 hectares, he could have an income of Php175,000 in one season. Acbayan’s coffee trees are so laden with fruits that a single tree yields 15 gantas of dried coffee beans. “I tried planting the Arabica variety, but it commanded a very low price from traders coming from Batangas and Cavite. That’s why I cut down all the Arabica varieties and replaced them with Robusta,” Acbayan said. 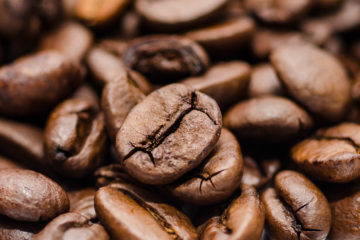 • Robusta coffee does not need so much commercial organic or inorganic fertilizer as long as it is planted in moist soil rich with decomposed leaves and plant parts. • It is best to plant the tree in well-drained soil with a pH level of about 5.5 – 6.5. Coffee needs a place with a moderately wet and cool climate so that it can attain its maximum yield potential. If one can provide the plant with these simple requirements, Acbayan said, there would be no reason for the plant not to flower from March to April and to bear fruits from May to February in the succeeding year. He advised that growers select seeds that are healthy. Peel the berries and soak them in water for 24 hours. Wash the seeds afterwards. Air-dry the seeds in a shaded open area for four days before planting them in polyethylene plastic bags. Make sure that the soil in polyethylene plastic bags are always moist, to hasten germination, which usually takes 45 days after sowing. Acbayan does not need to put up a nursery for seed germination. He said that mature seedlings that have reached a height of 4 feet can yield fruits three years after they are transplanted. For those who want to begin planting coffee, it is better to sow the seeds in polyethylene plastic bags which measure 4” x 4” x 10” before they are transplanted at 6 months after germination. This usually coincides with the onset of the rainy season. By that time, the seedlings will have 6 pairs of young leaves. 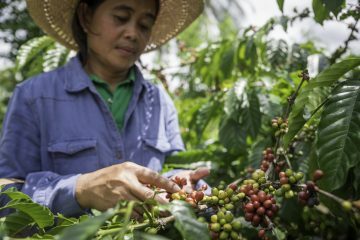 According to experts from the Philippine Council for Agriculture, Forestry, Aquatic and Natural Resources Research and Development (PCAARRD) in Los Baños, Laguna, the best planting distance for coffee is 4 x 4 meters to 5 x 5 meters so that the plants will receive a uniform amount of sunlight. Acbayan said that coffee trees are not hard to manage because they are not susceptible to pests and diseases. He knows of only one pest, and even then, it seldom attacks his trees. This is the coffee twig borer, which is the most dreaded pest of coffee. When the pest drills itself into the twigs, the leaves will turn yellow. When Acbayan sees this symptom, he immediately cuts the infected twigs and burns them. 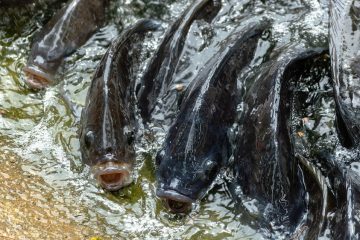 He can also control the pest by applying any of the recommended pesticides four times during the plant’s fruiting stage. But to be sure, he sprays the trees only once every 14-21 days. Farmers also need to cut or prune old branches because they hardly bear fruits. This gives the tree the chance to produce new buds that will bear fruits in the succeeding seasons. Experts call this the ‘rejuvenation technique’. One good reason for employing the rejuvenation technique is that you can easily maintain the desired height of the plants for easy harvesting of berries. It is recommended to prune the trees before they bear flowers, or just after harvesting. Acbayan said there are three methods of pruning coffee trees. One is the twig pruning method, which is the removal of crooked and diseased branches. Another is the desuckering method, which is the removal of the buds that emanate from the main stems. The final method is called ‘detopping’, which is done by removing the upper canopy of the tree so that it will only reach a height of 1.5-2 meters, which makes for easy management. Lastly, don’t forget to fertilize the trees once in a while, especially if the soil is not very rich in organic matter. It’s enough to apply 180-90-180 kilograms of nitrogen-phosphorus-potassium (NPK) to a one-hectare coffee plantation. 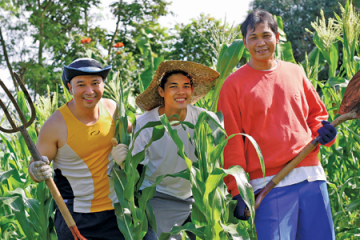 This appeared in Agriculture Monthly’s July 2014 issue.